Skye Gravestones | M. MacFarlane. 201936 Private/M. 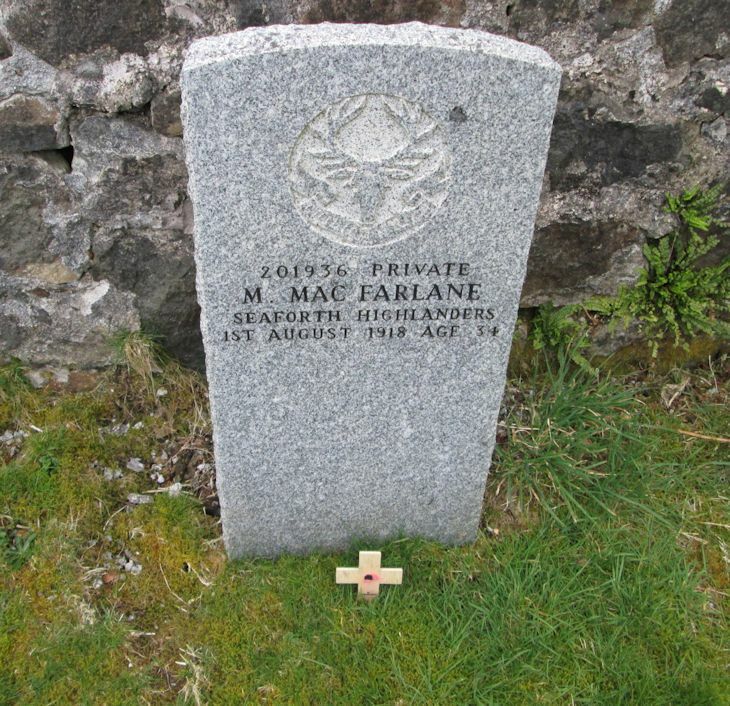 MacFARLANE/Seaforth Highlanders/1st August 1918 age 34.